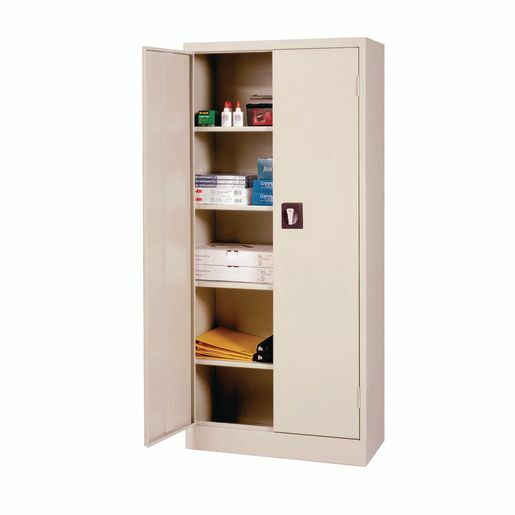 Store paint gallons, paper reams and lock up scissors in this heavy-duty, metal 4 shelf art closet. Recessed locking handles. Measures 30"W x 15"D x 66"H. 200 lb. capacity.